That's not just any rabbit with a samurai sword on your Android device. That's Usagi Yojimbo from the classic comic book series created by Stan Sakai and currently published by Dark Horse Comics. 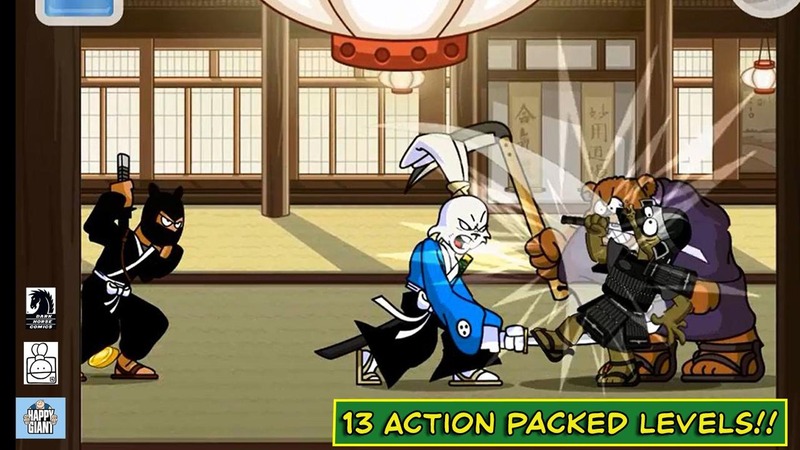 Now you can finally step into Usagi Yojimbo's sandals and fight your way through 13 levels of comic book-style action. Way of the Ronin is a 2D side-scrolling beat-'em-up infused with the unique style of the Usagi Yojimbo comics. 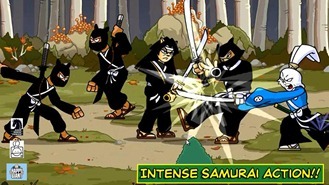 In addition to the hack-and-slash gameplay, this game treats players to a new storyline approved by Stan Sakai himself. 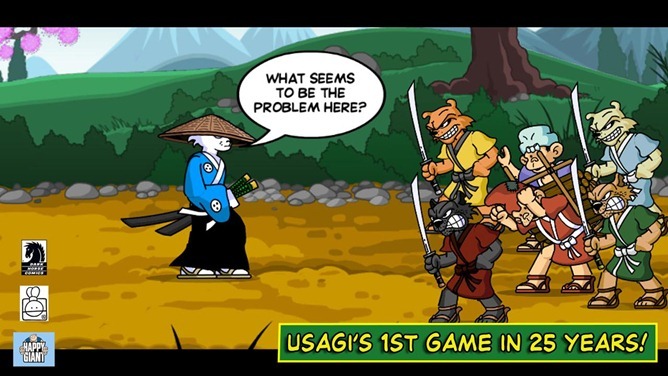 This is the first video game appearance for Usagi Yojimbo in over 25 years. The last one was the 1988 Commodore 64 title Samurai Warrior: The Battles of Usagi Yojimbo. The art style seems very true to the comics, and it looks super-crisp in the video. There are plenty of enemy types, including 13 boss monsters. As such, it's no surprise Usagi Yojimbo: Way of the Ronin clocks in at 241MB. Better find some WiFi and $1.99 to get started.